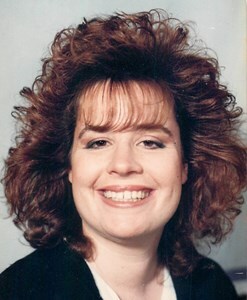 Christine S. Walberger, age 55, of North Syracuse passed away on Tuesday, February 5th. She was born in Cortland on July 9, 1963, daughter of Everett and Heidi Oliver. Christine was a wonderful wife and mother. She was a very loving and giving person. Most of all, Christine enjoyed being with her children and family. She will be missed by all. We will always love you. Christine is survived by her husband, Ronald R. Walberger, son Aaron Walberger, daughters, Katelin (Max) Walberger, Stefanie Walberger, grandson, Benjamin, mother, Heidi Oliver, brothers, Rick (Lisa) Oliver, and Joseph (Lydia) Oliver, along with nieces and nephews. She was predeceased by her father, Everett Oliver. Visitation will be from 2-4pm on Sunday, February 10th, at New Comer Cremations & Funerals, 705 N. Main St., N. Syracuse, with a service at 4pm. To share a memory of Christine, or leave a special message for the family, please click the Share Memories button above. Add your memories to the guest book of Christine Walberger. I know what a special person your mom was for you and I am so very sorry for your loss. My thoughts are with you and your family. Sending prayers and thoughts to all of you during this difficult time. My condolences to the Walburger family ???? I remember when I first met Chris, stefanie and Octavia were school buddies and she wanted to stay the night so she made the trip form north Syracuse to my home so that I could meet her ?? she was very nice, funny & full of life I will miss her smile my her family fine peace ???? And this time of grevance ... You all are in my prayers Love you stef ?? Christine was such a blessing to all whom met her. She would give the shirt off of her back for anyone in need, even if she didn't know them all too well. Her family is her main propriety though. She put everyone before herself, even before her health. She was all around a beautiful loving soul, who was taken from all who love her too soon. I love you momma & so does your grandbaby Benjamin, & Max. We miss you dearly, life will never be the same. Please watch over us like I know you will. I love you for forever & an eternity.